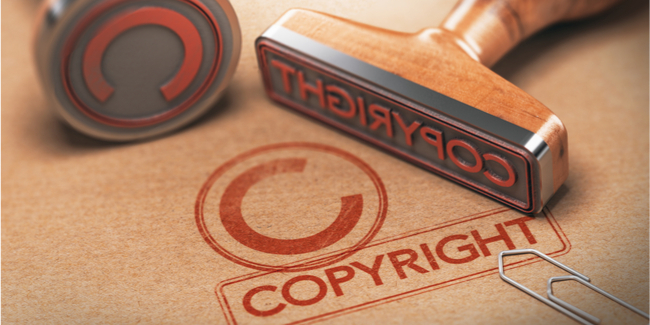 Before an author or other copyright owner can bring a lawsuit for copyright infringement, they first must have “made a registration” of the copyright with the Copyright Office, or had the registration denied. But courts have disagreed on when a registration is deemed “made:” when the application for registration has been submitted, or when a registration has been issued (or denied)? The problem with the latter approach is that the author who has been infringed has to wait for the Copyright Office to issue the registration before bringing suit, and that can take a year or more during which the work continues to be infringed; while the copyright owner can file for expedited registration—which can be done in five business days—that costs an additional $800. That’s why, when the U.S. Supreme Court was deciding Fourth Estate v. Wall-Street.com, a case that would settle this issue, the Authors Guild organized a group of artists’ rights organizations to file a “friend of the court” brief, encouraging the Supreme Court to take the “application approach,” instead of the “registration approach.” Unfortunately, the Supreme Court has just come down—unanimously—against the “application approach,” and has instead held that a lawsuit can only be brought after the Copyright Office has registered the copyright. This result was not unexpected as the Copyright Office has supported the registration approach and the Solicitor General filed a brief in support of it. In the Supreme Court’s view, “it is the Register’s action that triggers a copyright owner’s entitlement to sue.” With respect to the fear that creators could be harmed by the delay, and might even lose the ability to enforce their copyright at all if the statute of limitations were to run out before the Copyright Office acted on the copyright application, the Supreme Court dismissed this concern as “overstated, as the average processing time for registration applications is currently seven months,” citing to the U.S. Copyright Office’s Registration Processing Times as of October 1, 2018 (as checked on March 1, 2019). The Authors Guild continues to believe that seven months, much less a year or more, is too long to wait to bring a suit. We have argued that the fee for expedited registration should be waived or drastically lowered if needed to start a litigation. Because books generally are (and should be) registered within three months of publication, it is not usually a concern for books, but it is a concern for freelance articles, which few writers regularly register. We hope to correct that with the Copyright Office’s new group registration for freelance articles.